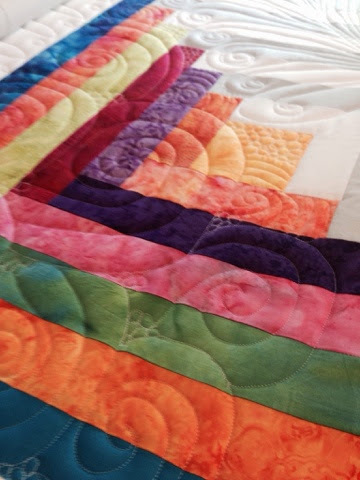 I made this rainbow log cabin quilt for my step daughter. 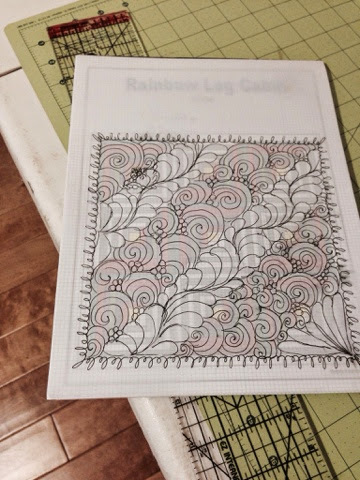 She sent me a picture of a similar log cabin quilt she liked and I created a pattern in EQ7. 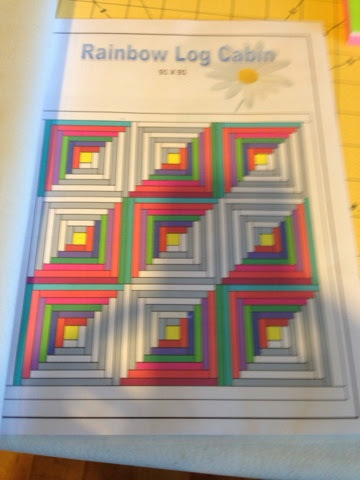 This pattern was super easy to put together. The blocks are very large. I think they are 28" blocks! This was my first log cabin quilt. I really liked piecing it together. I have have had the top finished for a few weeks and now I am ready to quilt it. I thought about doing an all over design with my Pro Sticher but I really didn't like any of the options I looked at. 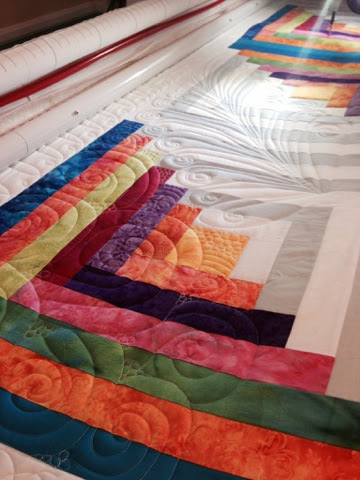 So this one is going to be quilted free motion! 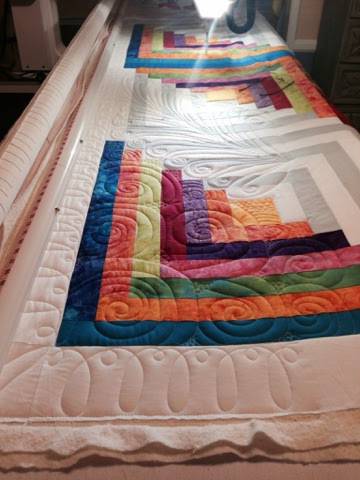 I haven't practiced to much free motion quilting on my longarm so it will me far from perfect. 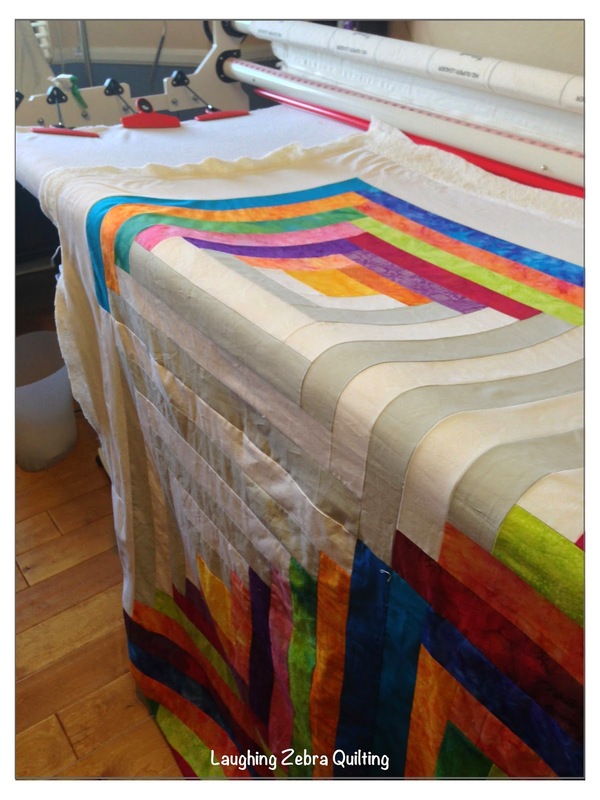 Most of my free motion quilting has been done on my Bernina. I think I will change the bottom right corner feather but it is what I am aiming for. This is a huge quilt. 95" square so I wanted a large design on it. Here is what it looks like now. I need music in my sewing room!